Barbeau Evans & Goldstein would like to congratulate our partner, Garth Murray Evans, Q.C. 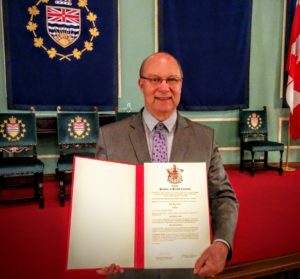 who formally received his Queen’s Counsel tonight at Government House in Victoria, British Columbia. We congratulate Garth for being recognized as a prominent British Columbia lawyer learned in the law, for his excellence in the practice of commercial real estate, for his public service and for his contributions to municipal, provincial and federal politics.